If you’re a caregiver preparing to take care of a stroke patient at home, then this article is for you. Today we will discuss what to expect after stroke and how to prepare for your loved one’s arrival. We encourage you to also speak with your stroke patient’s social worker, case manager, or physiatrist to get even more critical information about how to prepare. Now, let’s discuss 13 important steps that will help you care for your loved one at home. Most stroke survivors are put on multiple forms of medication that each serve a different purpose (for example, blood thinners, cholesterol control, etc.). All medications come with side effects that should be carefully monitored. It’s an excellent idea to keep a log of your stroke survivor’s behavior and symptoms, and keep track of any changes or problems. Then, consult with a doctor about these problems as soon as possible. For example, if your loved one is having trouble sleeping, don’t disregard it. it could be a side effect of medication, and a simple consultation with a doctor can help alleviate that awful symptom. There are many post stroke side effects that can occur after discharge. Although that might feel unsettling, proper education can help put your mind at ease. Read through our post stroke side effects guide to learn about the various symptoms that can occur. Again, keep a log of your loved one’s behavior and report any changes – big or small – to a doctor as soon as possible. 3. BEWARE: Supplements Can Encourage Recurrent Stroke – So Always Triple Check! If you or your stroke survivor are considering taking additional supplements, always always always double check with a doctor first. Because some supplements interact with medication and actually INCREASE the likelihood of another stroke. That’s a HUGE no-no. For example, the supplement ginko biloba is rumored to help the body recover from stroke. But ginko biloba also acts as a blood thinner, which increases the risk of hemorrhagic stroke (a stroke caused by a burst artery). If your loved one suffered a hemorrhagic stroke and also started taking ginko biloba, it could be a fatal mistake. So always triple check with your doctor before taking extra supplements. If in doubt, don’t take it! As your loved one continues to recover at home, you may see a slowdown in their improvement. Do not be alarmed, this is perfectly normal. Most stroke survivors experience a ‘plateau’ after the first 3 months of recovery. This slowdown, however, is not a sign that recovery is stopping. Recovery will never stop as long as your loved one continues to pursue recovery. The brain is capable of changing and healing decades after stroke. So don’t let yourself or your loved one be discouraged by a slowdown of results. Simply use it as a sign to revamp your rehabilitation efforts. Before your loved one comes home, try to remove as many unnecessary objects and clutter as possible. Open space is best for your stroke survivor to move around and avoid falls. There are many, many tools available. It’s a good idea to talk with an occupational therapist for more ideas. If a fall does happen, take it very seriously. If the fall is severe, call 9-1-1 immediately. Otherwise, call a doctor or therapist immediately. They may suggest further home adaptations or they may recommend new rehab treatments. Fall should be taken very seriously because it can be difficult for stroke patients to get up on their own; and if they fall when no one is around, it could be devastating. Always ensure that your home is properly adapted and that your loved one has sufficient mobility (enough to get back up) before being left alone. If you believe that your loved one is suffering from any of these emotional side effects of stroke, then look into each link for available treatment options. It can be life-saving for a survivor to feel connected to others who are going through the same thing as them. Empathy and connection are critical during times like these. Try finding support groups in your area that your loved one can attend. There are also online support groups that you can try joining, like our support group on Facebook. As a caregiver, there will be many new demands and stresses that can create burnout and even depression. You can work to avoid this by making sure to take time to take care of yourself and foster your relationships. Connection goes a long way towards preventing burnout and reigniting motivation. Earlier we stressed the importance of keeping track of your loved one’s medication, stroke side effects, and behavioral changes. There’s also a lot of other paperwork to keep track of, so make sure you keep it all in the same place. Then, take these papers with you each time you see the doctor. You don’t want to rely on memory to relay everything. It’s essential to speak with your loved one’s insurance provider to learn exactly what products and services are covered. Also, as your loved one continues to improve, (s)he might become eligible for services that weren’t covered before. Because of this, it’s important to constantly stay in touch with your loved one’s insurance provider. Certain lifestyle behaviors can increase the risk of recurrent stroke. See this guide to managing stroke risk factors, and see if any apply to your stroke survivor. And if they do, then assist your loved one in helpful preventive practices. And lastly, we’d like to emphasize our favorite lesson of all: the importance of repetition and consistency. Repetition and consistency are important for rewiring the brain after stroke. As something is repeated and practiced, the brain starts to grow and strengthen new connection. 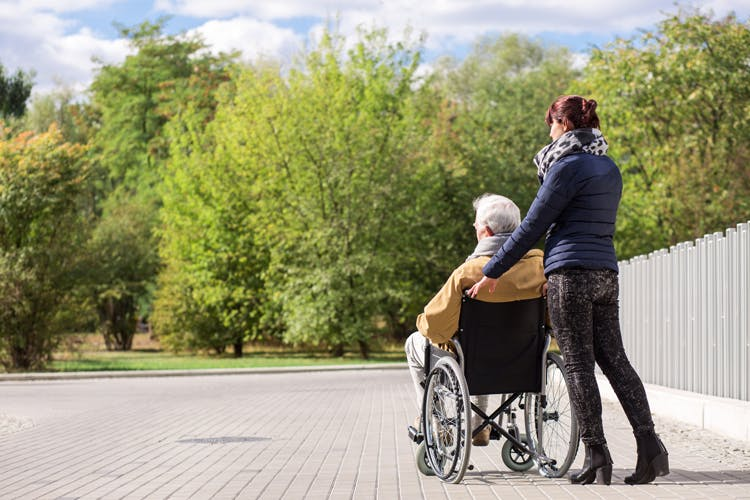 Through repetitive practice, your loved one can regain their abilities and independence. For example, repeating leg exercises over and over helps the brain rewire itself and get better at controlling leg movement. Understanding this is critical for your loved one’s success. Also make sure that they’re being consistent with their regimen, because the brain needs constant stimulation to keep healing. Consistent rehabilitation leads to the best results. And there you have it. Those are our 13 best tips for preparing yourself and your home for the arrival of your loved one. The road ahead will be full of ups and downs, but with proper support and care, you will both get through this together. If you have any comments or tips of your own, please feel free to share them with us in the comments section below!